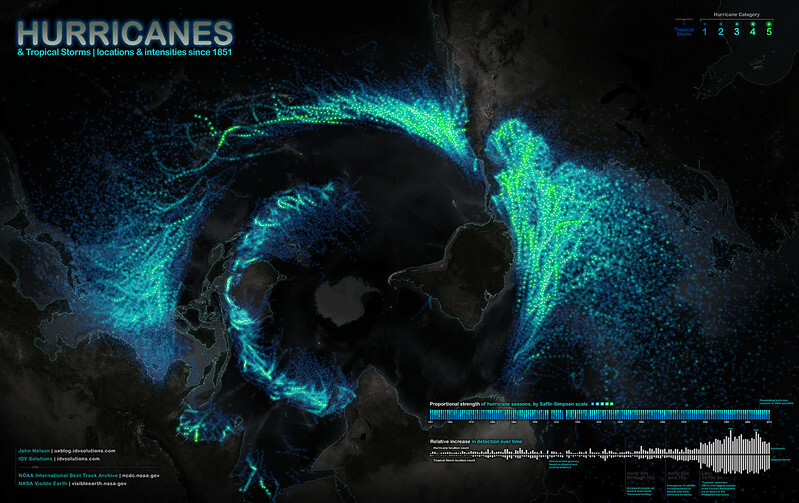 One hundred and fifty years of tropical storms have been captured in this image from Data visualiser John Nelson, map manager for IDV Solutions. The graphic, looking at the globe with Antarctica in the centre, shows the intensity and location of hurricanes, cyclones and typhoons since 1851, based on data from United States’ National Climate Data Center. Read more about the image on the IDV Blog.